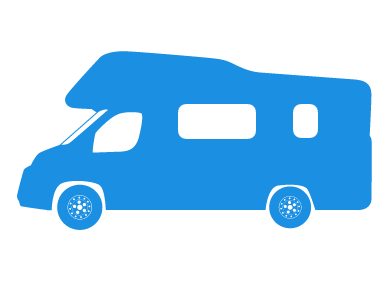 We specialise in a variety of niche motoring markets, including temporary motorhome insurance cover. Our aim is to provide you with the best motorhome and camper insurance available at the cheapest rate - whether it is short-term cover or annual. Temporary cover is available for all makes and models of motorcaravan, with our classic policies for VW campers (including limited mileage discounts) and modern motorhome policies going right through to the top-spec American fifth wheeler RV. We understand that driving a motorhome is about lifestyle, at least as much as it is about the vehicle, and our cover takes this into account. All of our cheap short-term motorhome insurance policies include a free Green Card for European travel, with some schemes even allowing trips of up to 365 days at a time. We can also offer discounts of up to 15% if you belong to a recognised forum or owners club. Whether you are using a motorhome as a practical way to take a holiday or simply to have fun weekends, we understand the key features that camper owners need from a motor home insurance policy. It won't matter whether you are the owner of the vehicle or not, or whether it is already insured in someone else's name making it the perfect policy for enabling you to borrow other people's motorhomes. We also offer our short-term motorhome insurance with the right cover to keep you fully protected. Cover available at both comprehensive and TPFT levels helps you to insure exactly what you need, whilst insurance for audio equipment and windscreen damage could save you money in the event of an accident or theft. Not only does our short-term motorhome insurance provide you with the ideal platform for motoring holidays and short-term ownership, but it also offers all the benefits and protection that you could expect from any of our full policies. With all these benefits you will quickly realise that we can offer you the best short-term motorhome insurance cover on the market. We will calculate your premium individually, using our expert knowledge of the many schemes on offer. This is not an online quote with computer rates. Instead each risk will be individually calculated. Our sales staff are insurance experts, not just button pushers, and, along with our tailor made schemes, we believe we offer the best short-term motorhome insurance available. To discover more of the benefits of this, or any other policy, and to find out how we can help you benefit from short term cover, either click the quote button below, complete a callback form online or dial 0800 369 8590.